Waking up to where we are and how we got here can be unsettling. I arrived in Nova Scotia in 1986, and like many immigrants before me, came with visions of a good life. Over time, Nova Scotia, as a place and a name, became associated with home and all the special places and memories of a family growing and sinking its roots into the soil. Something is changing for me and many of us now, as we go through the motions of recognizing that this place has been, and continues to be, Mi’kmaw territory. Through that lens, Nova Scotia, “New Scotland,” is a recent construct, a colonial flag planted in the ground, replacing the earlier flag of New France. South of us is New England. To the north, Newfoundland. Were these places ever “new”? Was Newfoundland ever lost? Suddenly we have glimpses of this place through the eyes of people who have always been here, wake up to what associations these names must hold for them. Names transplanted from another place, something laid on top of the land and its first people. Looking into the future, just imagine this same land renamed as New (fill in the blank… China, Africa, India). Imagine our languages forbidden, our children assimilated, no longer able to speak the language of their parents. Underneath, the same land. What name would the land speak for itself through human lives and voices living in its forests and coastlines for millennia? Ah yes, that would be Mi’kma’ki. To understand this new home better, I now listen more closely to these people, their language, and realize for the first time that they have been hosting me, my family and community, all along. We’lalin I say. I still experience the awkwardness of acknowledging this place as unceded Mi’kmaw territory. It is unsettling, and yet that is the point. It is time to unsettle these constructs, find our way back to the actual place, our actual history. Find our way back to real ground. Elder Albert Marshall says that anytime Indigenous and non-Indigenous people meet, we have a chance to reset our relationship. Thank goodness. And thank the generosity and wisdom of those first people who have been patiently waiting for so long for us settlers to notice where we have landed, who is already here, and what the land might have to say. This waking up feels exciting, wholesome, edgy. How else could we begin to shed the burden and privilege that has oppressed others and parts of ourselves? How else could we begin to find each other and move through, to a new story that will guide us in times ahead? Susan Szpakowski is settler who, as a young child, emigrated with her parents from London, England, to Victoria, B.C. Named after the monarch who oversaw the expansion of Britain’s colonial empire, Victoria is on the traditional land of the Songhees, Esquimalt and WSÁNEĆ people. 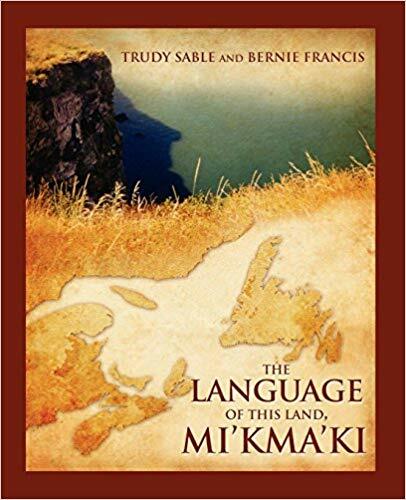 See also The Language of this Land, Mi’kma’ki by Trudy Sable and Bernie Francis.